Communication has never been more visual than it is in the digital age. The University of the Fraser Valley recognizes this and wants to help you improve your visual communication skills through its new Centre for Creative Development. Perhaps you had your company or organization’s logo and brand professionally designed, but you want to be able to do the basic design work on an ongoing basis, and you find the prospect of working with brand style manuals, JPEG files, and Adobe Creative Suite programs a little intimidating. Or maybe you want to learn to express yourself artistically better by taking a drawing, painting, or illustration class. Or you want to explore the field of digital design to see if you want to pursue it as a career. Centre for Creative Development courses are offered in the UFV Graphic + Digital Design labs, based at the Mission campus. The GDD department joined forces with UFV Continuing Education to design non-credit course offerings focusing on design skills for the digital age. Programming focuses on digital media and creative practice including digital tools for business, Adobe software, visual storytelling, problem solving, illustration, photography, typography, design, craft, and design thinking. They’re even planning a Manga camp for teens for next summer. 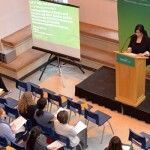 You can take the courses as an individual, or UFV can custom-design contract training for your business or organization. 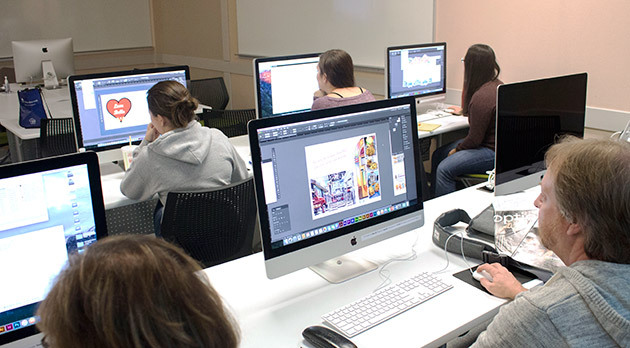 In addition to the courses offered by the Centre for Creative Development, UFV also offers a two-year Graphic + Digital Design diploma to prepare students for professional design careers, as well as a minor and extended minor in the Bachelor of Fine Arts degree.